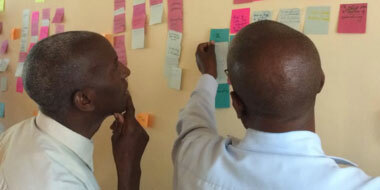 Design that Matters (DtM) adapts medical technology to make it more available in low-income communities. Health care technology that the developed world takes for granted is often too costly and complicated for hospitals in developing countries. By creating durable, affordable, easy-to-use versions of health care technology, DtM helps save lives where resources are scarce. Advanced design software and rapid prototyping tools like 3D printing allow DtM to create and launch products quickly and efficiently with only a small team of designers and engineers. DtM's Firefly, an easy-to-use, energy-efficient phototherapy device to treat infant jaundice, has already treated more than 26,000 newborns in 19 countries across Asia, Sub-Saharan Africa, and the Caribbean. It reduces treatment time by almost half. DtM is developing other products to save newborns from easily curable diseases, including a warming bassinet for hypothermia and a pulse oximeter to diagnose pneumonia. We bridge the gap between existing life-saving technologies and the people who need them most. Catapult Design researches, designs, and develops human-centered products and services to improve the lives of those who need it most. 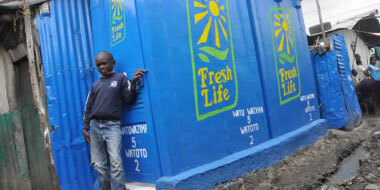 Sanergy takes a systems-based approach to tackling the sanitation crisis in Africa’s urban slums.